And gives this warning about multiple Default Gateways. Microsoft Windows [Version 6.3.9600] (c) 2013 Microsoft Corporation. All rights reserved. The weirdest part of this (to me) is that this was working before, but stopped working when microsoft forcibly installed an update, and has stopped working several times in the past upon microsoft installing an update. Any ideas what's causing this? 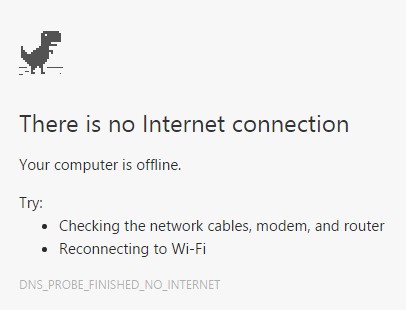 As posted in the comments, the computer was giving a Default Gateway conflict warning. This is where the computer is looking to get out to the internet. 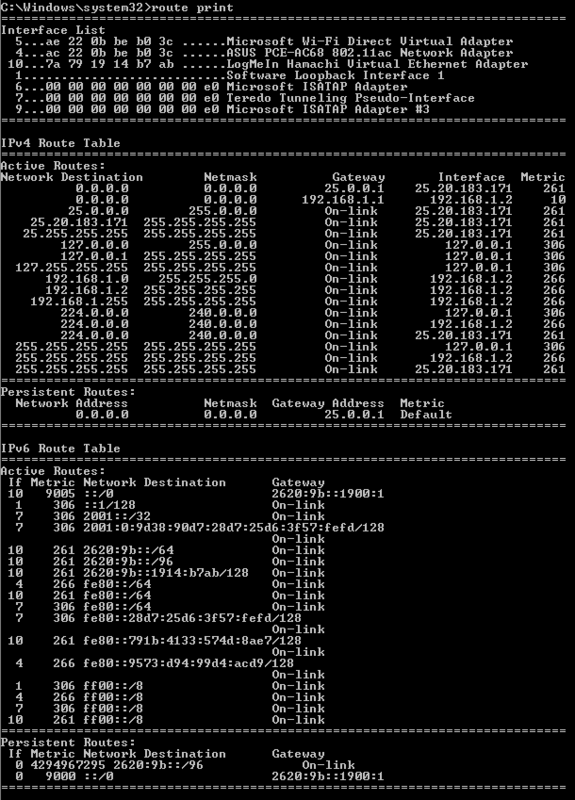 The Hamachi network is conflicting with the internal network. 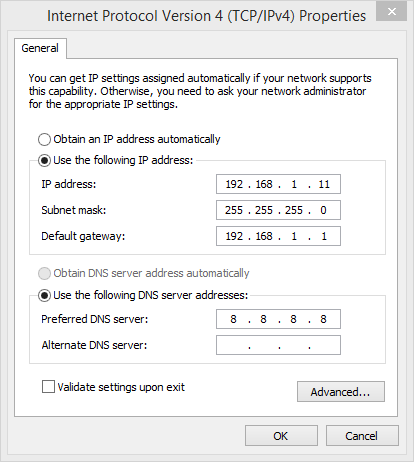 Disable this network then set the static IP. Not the answer you're looking for? Browse other questions tagged networking windows-8 home-networking static-ip or ask your own question. 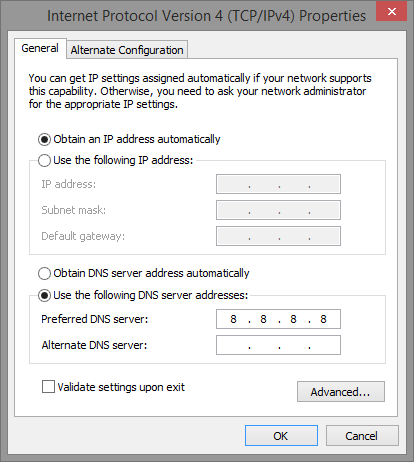 How can I add some static IP address at IPv6 for Windows 2012 DHCP server?